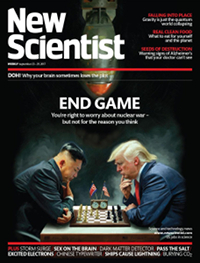 Here are a few articles and research papers about chess in science magazines. An article called "The Antiquity of Chess" was published in Scientific American. The latest excavations on the pyramid field of Saqqara show relief painting of a high official (vizier) playing chess. North of the pyramid of King Teti, two grave chambers were discovered which were erected for two high officials of that rule. One of the names, Mereruka (Meri or Mera) is shown playing chess with his wife on one of the well-preserved walls. The bass reliefs and pictures are dated to 3300 B.C., making chess known 5,200 years ago (source: Scientific American, Feb 20, 1897, Vol. 76, # 8, p. 116). We now know the board game is called senet. In the 1950s, IBM was looking for computer programmers. IBM put an ad in the December 1956 issue of Scientific American and the New York Herald Tribune newspaper seeking anyone interested in computer programming. The ad featured a black knight chess piece, and said that "those who enjoy playing chess or solving puzzles will like this work." One of the applicants that responded to the ad was US chess champion Arthur Bisguier (1929-2017). Bisguier was then hired as an IBM programmer. Another applicant was Sidney Noble, who claimed he was the chess champion of the French Riviera. Another applicant was Alex Bernstein, a U.S. Intercollegiate champion who developed the first complete chess program. 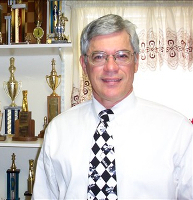 Another applicant was Don Schultz, who became president of the United States Chess Federation. He was with IBM from 1957 to 1987. In 1959, Martin Gardner (1914-2010) wrote a column in Scientific American called "Sam Loyd: America's Greatest Puzzlist." Gardner wrote, "For ten years Loyd apparently did little except push chess pieces about on a chessboard. At that time chess was enormously popular... During the next five years his output of chess puzzles was so prodigious that he became known throughout the chess world... In 1877 and 1878 Loyd wrote a weekly chess page for Scientific American Supplement, beginning each article with an initial letter formed by the pieces of a chess problem. Martin Gardner wrote Scientific American's Mathematical Games columns for 25 years (1956 to 1981), often including chess in his column. He was a lifelong chess fan. F. L. Moullen wrote an article called "Chess and the Computer." (source: Datamation, Vol. 14, # 4, April 1968, pp. 52-68). In 1969, Martin Gardner wrote a column in Scientific American called "The Eight Queens and Other Chessboard Diversions." H. Berliner, G. Goetsch, M. Campbell, and C. Ebeling wrote an article called, "Measuring the Performance Potential of Chess Programs." Chess programs can differ in depth of search or in the evaluation function applied to leaf nodes or both. Over the past 10 years, the notion that the principal way to strengthen a chess program is to improve its depth of search has held sway. Improving depth of search undoubtedly does improve a program's strength. However, projections of potential gain have time and again been found to overestimate the actual gain. The authors examined the notion that it is possible to project the playing strength of chess programs by having different versions of the same program (differing only in depth of search) play each other. Their data indicated that once a depth of "tactical sufficiency" was reached, a knowledgeable program could beat a significantly less knowledgeable one almost all of the time when both are searching to the same depth. This suggested that once a certain knowledge gap has been opened up, it could not be overcome by small increments in searching depth. The conclusion from this work was that extending the depth of search without increasing the present level of knowledge would not in any foreseeable time lead to World Championship level chess. (source: Artificial Intelligence, Vol. 32, # 1 (special issue on computer chess), April 1990, pp. 7-20). Helmut Horacek wrote a paper called, "Reasoning with Uncertainty in Computer Chess." This paper aimed at an improvement of decision making under conditions of uncertainty. An overall analysis was given of how manifestations of uncertainty are dealt with in the field of computer chess. A new method of expressing uncertainty was presented which is done on the basis of a pair of point values associated with a weighting factor that indicated a preference between them. The reasoning process aiming at decisions among problem states associated with such a weighted pair is embedded in a traditional environment which required point values. Essential components of this process are the overall (general) state of the critical position in terms of the degree of advantage and the competence of the system to judge the category of the domain-specific feature which causes the uncertainty. Finally, the author presented further improvements of the reasoning process which can be achieved when the requirement to back up point values is removed. (source: Artificial Intelligence, Vol. 32, # 1 (special issue on computer chess), April 1990, pp. 37-56). Barry Cipra wrote an article called, "Artificial Intelligence: Will a Computer Checkmate a Chess Champion at Last?" In a series of games in Philadelphia beginning on February 10, 1996, chess master Gary Kasparov will go face-to-interface with Deep Blue, a computer chess program developed at IBM. Some experts think that for the first time, a computer has a chance of beating a human champion. Building on the latest techniques, Deep Blue's strategy is not to outsmart its opponent but to outsearch him, by looking many moves ahead and ferreting out what looks like the best line of play (source: Science, Vol. 271, # 5249, Feb 2, 1996, p. 599). Deep Blue did win the first game in 37 moves, but Kasparov did win three games and drew two games to min the match. Christopher Chabris and Eliot Hearst wrote an article called, "Visualization, Pattern Recognition, and Forward Search: Effects of Playing Speed and Sight on the Position on Grandmaster Errors." A new approach examined two aspects of chess skill, long a popular topic in cognitive science. A powerful computer-chess program calculated the number and magnitude of blunders made by the same 23 grandmasters in hundreds of serious games of slow ("classical") chess, regular "rapid" chess, and rapid "blindfold" chess, in which opponents transmit moves without ever seeing the actual position. Rapid chess led to substantially more and larger blunders than classical chess. Perhaps more surprisingly, the frequency and magnitude of blunders did not differ in rapid versus blindfold play, despite the additional memory and visualization load imposed by the latter. The authors discuss the involvement of various cognitive processes in human problem-solving and expertise, especially with respect to chess. Prior opposing views about the basis of general chess skill have emphasized the dominance of either (a) swift pattern recognition or (b) analyzing ahead, but both seem important and the controversy appears currently unresolvable and perhaps fruitless. (source: Cognitive Science, Vol. 27, # 4, Jul-Aug 2003, pp. 637-648). In the January 10, 2011 blog of Scientific American, there was an article called "Could chess-boxing defuse aggression in Arizona and beyond?" Chess-boxing made its first appearance in a science fiction comic book (graphic novel) called Cold Equator (Froid Equator) by Enki Bilal. The blog covers the history of chess-boxing. In the March 24, 2012 Scientific American blog, there was a letter called "Deep Thought is Dead, Long Live Deep Thought." Aek Thanatipanonda wrote an article called, "Rook Endgame Problems in m by n Chess." The author considered chess played on an board (with m and n arbitrary positive integers), with only the two Kings and the White Rook remaining, but placed at arbitrary positions. Using the symbolic finite state method, developed by Thanatipanonda and Zeilberger, the author proved that on a 3 x n board, for almost all initial positions, White can checkmate Black in less than or equal to n + 2 moves, and that this upper bound is sharp. He also conjectured that for an arbitrary m x n board, with m, n equal or greater than 4, (except for (m, n) — (4, 4) when it equals 7), the number of needed moves is less than or equal to m + n, and that this bound is also sharp. (source: Advances in Applied Mathematics, Vol. 61, Oct 2014, pp. 19-24. G. Sala, A. Burgoyne, B. Macnamara, D. Hambrick, G. Campitelli, and F. Gobet, authored an article called, "Checking the 'Academic Selection' Argument. Chess Players Outperform Non-chess Players in Cognitive Skills Related to Intelligence. A Meta-Analysis." The "academic selection process" hypothesis is that expert vs. non-expert differences in cognitive ability reflect ability-related differences in access to training opportunities. This difference may be due to academic selection processes (e.g., GRE scores). To test this hypothesis, the authors focused on a domain in which there are no selection processes based on test scores: chess. This meta-analysis revealed that chess players outperformed non-chess players in intelligence-related skills. Therefore, this outcome does not corroborate the academic selection process argument, and consequently, supports the idea that access to training alone cannot explain expert performance. This outcome contradicted the academic selection hypothesis. (source: Intelligence, Vol. 61, Mar-Apr 2017, pp 130-139).